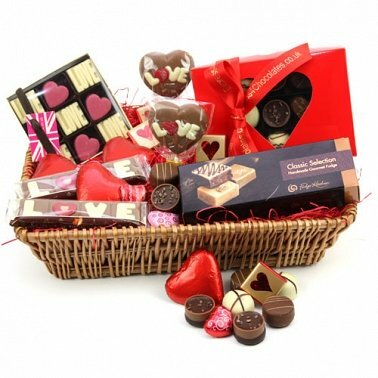 This Classic chocolate Hamper is for the ones who would love to indulge their loved ones with irresistible tastes of Finest Belgian Handmade Chocolates to nostalgic milk Chocolates novelties and Handmade Pink Love Hearts chocolates are perfect for Valentine. All Elegantly Presented in our wicker hamper basket with hand tied luxury ribbon. So personalise this tempting wicker basket with your message card to the occasion of your choice or simply to Say I love you.